The Wider Countryside Butterfly Survey (WCBS) is the main scheme for monitoring population changes of the UK's common and widespread butterflies. It is important in both assessing the changing status of widespread butterfly species and in providing an indicator of the health of the wider countryside. Data from this scheme feeds into the UK Butterfly Monitoring Scheme (UKBMS). 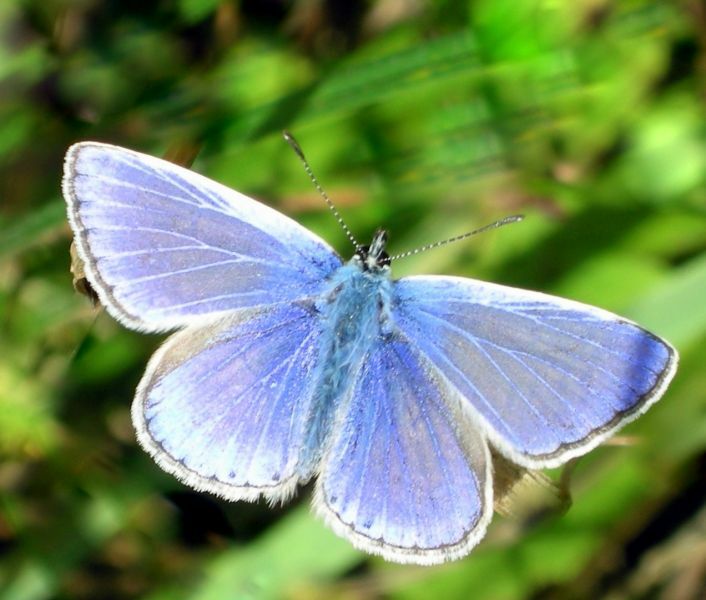 The UK Butterfly Monitoring Scheme is organized and funded by Butterfly Conservation, the Centre for Ecology and Hydrology, British Trust for Ornithology, and the Joint Nature Conservation Committee. The UKBMS is indebted to all volunteers who contribute data to the scheme and we now have data from the WCBS, carried out on BBS squares spanning back to the pilot years of 2007 and 2008. All BBS volunteers can take part in the WCBS by making extra visits to their square between June and August to count butterflies. or email bbs [at] bto.org to request a paper pack of forms. Square allocation for the WCBS on BBS squares and all WCBS data from BBS squares are entered into the UKBMS data entry system. For guidance on how to register your BBS square for the WCBS on the UKBMS website, please email bbs [at] bto.org. 1. Register at www.ukbms.org/mydata/ (register button is at top right hand side of the screen). When choosing your username on this website, it is helpful to us if you use your BTO username. 2. Wait for us to email you to confirm that your account has been linked to your square(s). This can only be done during working hours, so please be patient. 3. Once allocated the square, log in to the UKBMS website. Go to ‘My Sites’ to review the details of your route, change Location Type to WCBS-BBS in the drop down menu then press Run Report. 4. Go to ‘My Walks’ to enter the data from your weekly walks. First change the Site Type to WCBS-BBS in the drop down menu then find the date of your walk in the calendar and click on the little green ‘plus’ sign. You can now enter details of your survey. The latest results of the UK Butterfly Monitoring Scheme (BMS), updated with the data from 2018, are now available. Butterfly numbers can fluctuate markedly between years in response to weather conditions and the relatively hot and dry 2018 season was generally good for butterflies, such as the rare Black Hairstreak and Large Blue, as well as more common Brown Argus and Speckled Wood. Overall, more than two thirds of species had increased since 2017. However, recent years have not been good for most butterflies and over the past four decades, two thirds of species show apparent declines, significant for 21 species. Those in steepest decline include Small Tortoiseshell, Gatekeeper, Grayling, Wall and Large White. Long-term declines in butterflies are influenced by loss of suitable habitat, urban development, habitat fragmentation, farming intensification, pollution and climate change, the latter both by influencing conditions during the flight period but also through its effects on the butterflies’ food plants. The annual changes in the abundance of 57 different butterfly species since the 1970s presented here are based on analyses of the counts undertaken every year by thousands of volunteers that participate in the scheme. In addition to counts made by Breeding Bird Survey participants and Butterfly Conservation volunteers for the Wider Countryside Butterfly Survey, these trends use information from traditional weekly butterfly transects as well as timed counts for some species. The UK BMS is run by a partnership of Butterfly Conservation, the Centre for Ecology and Hydrology and the BTO.